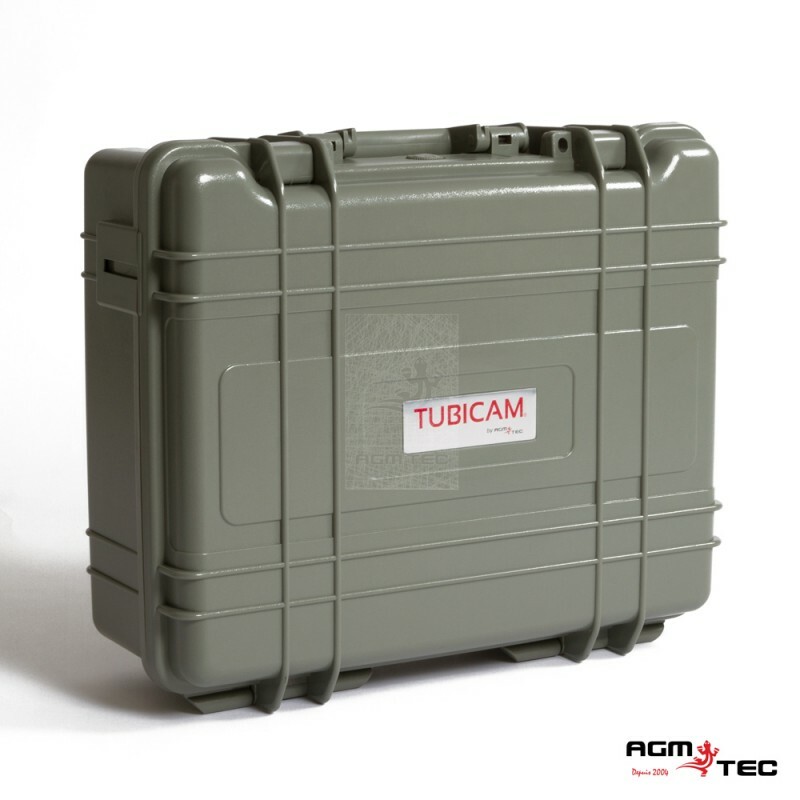 The TUBICAM XL® is a video inspection system which allows the big pipes inspection. 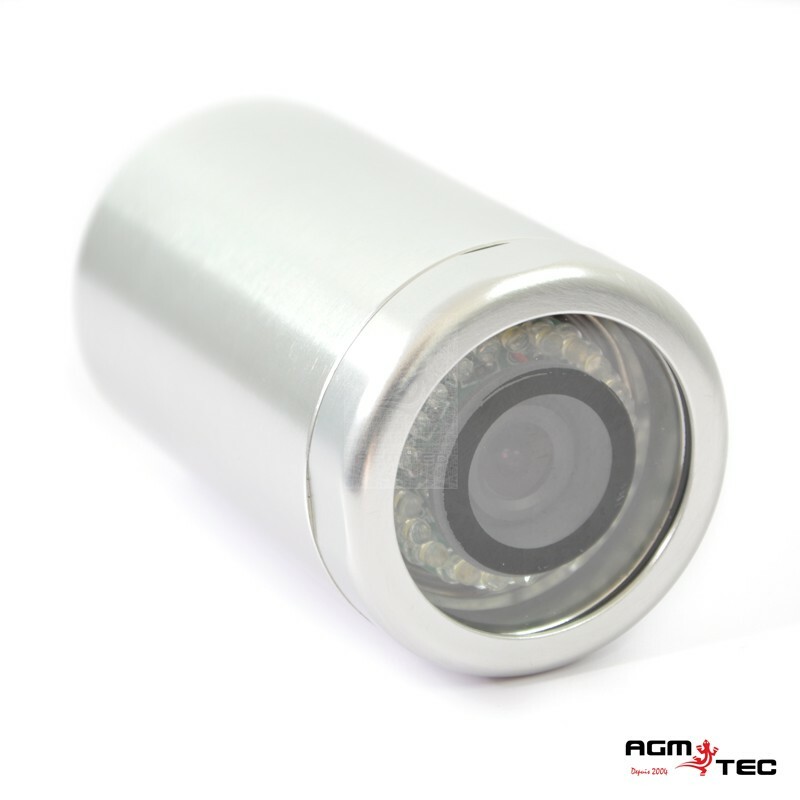 Totally waterproof, its cylindrical 50 mm camera (2’’) outing of 21 white LEDs around the objective offers a clear vision on its 7 "or 10" color LCD screen. 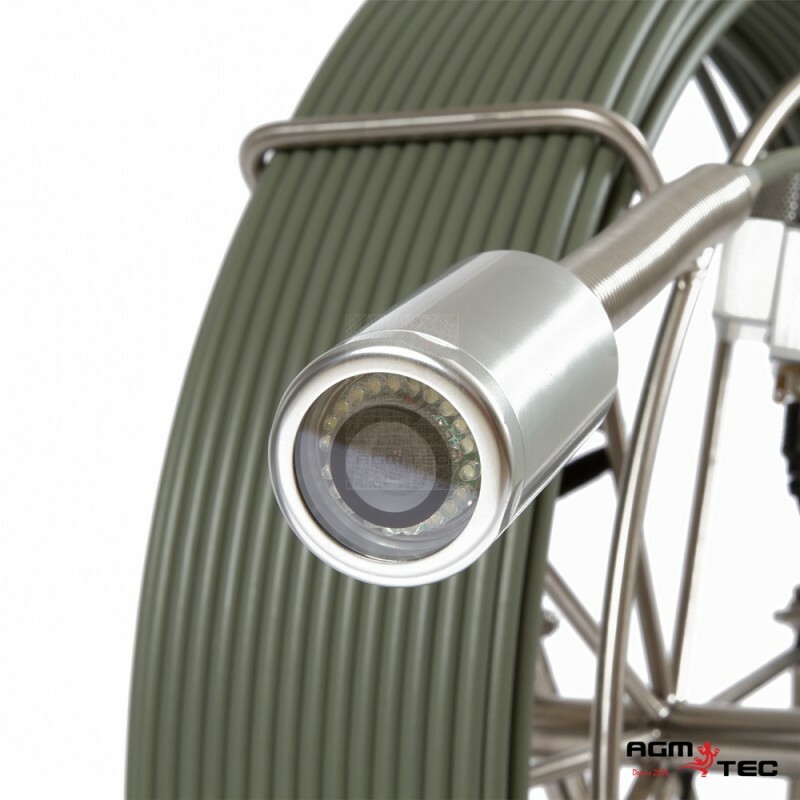 It is wired on a fiberglass video cable on 60 (200’) or 120 (400’) meters winded around a big reel with wheels. The material is delivered in a stiff ABS case and powered by a Li-ion 12 Vdc battery (the autonomous power of the system). The case is endowed with a recorder which allows to record photos, videos and audio comments on USB key or micro SD card (maximum capacity of 8Go which represents 5h20 of recording). It is Supplied with three adjustable skid : 9 cm / 14 cm / 22 cm (3” / 4” / 6”).